BALDWIN PARK — A man was shot in the leg during a home invasion robbery Thursday, authorities said. The incident occurred about 9:15 p.m. at a house in the 4000 block of Hornbrook Avenue, said Baldwin Park police Sgt. Doug Parnell. A husband and wife in their 30s were in bed when two robbers, described as Latino men in their 40s wearing all black, cut through the screen of a sliding door and forced their way into the home, Parnell said. One of the men was armed with a handgun, Parnell said, and they walked the victims around the house demanding to know where the money was kept. The husband told the robbers his money was in the garage, but pressed a panic button on the way, Parnell said. When the robbers ordered the man to shut it down, he told them he could only do so from the keypad in front of the home. When the robbers escorted the man outside, he saw a neighbor and yelled to call 9-1-1, Parnell said. One of the robbers shot the man in the leg and they both fled on foot, Parnell said. The wounded man was treated at an area hospital and has since been released, he said. Anyone with information is asked to call the Baldwin Park Police Department at (626) 960-1955. COVINA – Charter Oak High School is considering reprinting and replacing pages of its yearbook that have offensive and incorrect names, officials said Friday. School Principal Kathleen Wiard said she is working with the book’s publisher to replace index pages of the school’s 2008 Chronicle. The possible reprint comes after a yearbook staff student replaced nine BSU student names with fake names – such as “Tay Tay Shaniqua,” “Crisphy Nanos” and “Laquan White” – next to their club photo in the yearbook. *Drudge has linked to the story giving it national attention. It will be interesting to see if school administrators are going to take the incident seriously now. How long until we see this on O’Reilly or Hannity? A La Puente woman, accused of running day-to-day activities for the Mexican Mafia while her husband was in Pelican Bay, pleaded not guilty today to charges stemming from an alleged gang murder plot. Maria Llantada, 44, and nine associates entered pleas in the case today. They were named in a grand jury indictment handed up June 13. All ten defendants are charged with conspiracy to commit murder. 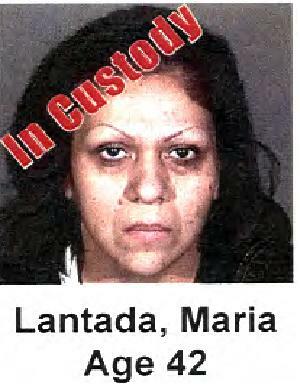 Those indicted include Maria Llantada, 44, of La Puente, whom authorities said last year ran the gang’s street activities in parts of La Puente, Norwalk and some surrounding areas. Martinez, 37; Danna Stover, 33; and Antonio Palacios, 66. Aaron Proctor, the most electrifying man in blog entertainment, mailed his nearly famous ham and egg award to our very own prep professor Fred Robledo. Here’s Fred holding the award aloft at his cubicle! 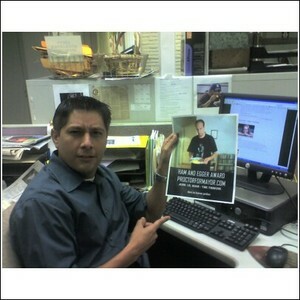 Fred’s going to make up for the win, covering the annual high school Hall of Fame game at Bassett High School tonight. Oh, why did he get it? For watching a sports event on tv in the newsroom….hmm isn’t that what sportswriters are paid to do? Can’t tell you how many Monday Night Football games and episodes of RAW I’ve watched here…quite a few to be sure. BTW I think Aaron might want to consider branching out to Monrovia for the next installment.. apparently Mayor Rob Hammond is recycling material for his letters to the editor. There’s word on the street that Gov. Arnold Schwarzenegger wants to take away safe and sane fireworks this year. That’s right. A few days before the Fourth of July, he decides that legal fireworks are bad and might cause fires. Hmmm so how does that explain the 6,000 lightning strike fires in Northern California earlier this week? ….Is he going to ban lightning next? The truth is, a ban on these sales only hurts the little people; little leagues, Knights of Columbus, Girl Scouts — civic organizations that do good in the community without taking taxpayer dollars. 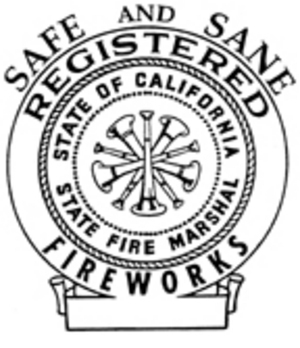 Tell me how many fires were started by legal fireworks this year? ARCADIA — Two men wearing Halloween masks bound an employee as they robbed a Radio Shack Thursday, authorities said. The incident occurred shortly after 10 a.m. at the store, located at 1435 S. Baldwin Ave., said Arcadia police Lt. Bob Anderson. Two men entered the store wearing “presidential-style” masks and ordered the lone employee into the bathroom at gunpoint, Anderson said. After binding the employees eyes and mouth with tape, they ordered him to stay in the bathroom, Anderson said. The robbers stole money from the employee, and unknown merchandise from the store before fleeing, he said. The employee was discovered by a Fed-Ex delivery man about 15 minutes after the robbery, Anderson said. The robbers were described only as Latino men of average height and weight, said Anderson. The employee was not injured, he said. The Department of Justice sent out a press release Thursday afternoon indicating they had arrested an attorney working for the agency and his wife for taking bribes from immigrants at least one of the bribes was $20,000. Nice. A senior attorney with U.S. Immigration and Customs Enforcement (ICE) was arrested today after allegedly taking a $20,000 bribe from an immigrant seeking documentation to remain in the United States. were arrested at the San Manuel Indian Bingo and Casino in Highland, where they allegedly accepted a bribe payment from an immigrant. The couple is expected to make their initial court appearance tomorrow afternoon in United States District Court in Santa Ana. Looks like another cop has filed a discrimination suit against the Monrovia PD. MONROVIA – A Monrovia police officer has filed a lawsuit against the city alleging he was harassed and retaliated against for cooperating in a previous racial discrimination case against the Monrovia Police Department. Matthew Donald Thompson said he provided statements supporting the claims of racial discrimination and harassment filed by Glenn Cobb, a former Monrovia police officer who sued the department in 2006. Cobb settled with the city, which admitted no liability, in November 2007.